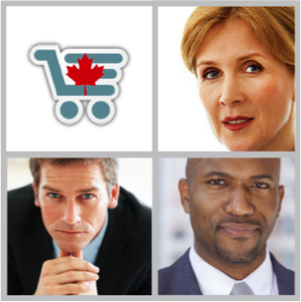 The primary findings of ePath’s Canadian eBusiness Study are that Canadian eBusiness managers are fundamentally well positioned for success, however a combination of cultural, organization and environmental conditions inhibit the risk taking and aggressive goal setting displayed by industry leaders in other countries. This situation does not equip Canadian companies well to defend against foreign invaders or achieve major success outside of Canada. Based on these findings, ePath has identified four specific strategies for Canadian eBusinesses to pursue in order to get beyond “good enough”.These are described briefly in our report and in earlier posts in this series (see below). Learn from the Leaders: Examine the successes of leading eBusiness players around the world to identify opportunities for your business. Integrate Online/Offline Strategy: Ensure that your corporate strategy fully exploits the potential of your online business to contribute to corporate goals. Provide a Seamless Customer Experience: Leverage the most impactful eBusiness technologies and techniques to create an integrated online/offline experience for your customers. Engineer Results through Analytics-based Modeling: Use a “data-driven” model of your online business to enable detailed planning, predictive analysis and the engineering of eBusiness results. Measure and Manage Performance: Employ best practices in goal setting, monitoring and performance scorecards to drive continuous improvement in eBusiness performance. Foster Innovation: Develop the culture and processes to tap the innovation potential of your organization. ePath has found that these approaches to eBusiness management are key enablers of the success of eBusiness leaders. ePath believes that, in concert with the 4 strategies identified in this report, they provide a sound foundation for Canadian eBusinesses seeking to get beyond “good enough”.